Complications may have arisen in a drug store mega-merger, which will combine Walgreens Boots Alliance (Walgreens) with Rite Aid. The merger was originally announced back in October 2015 but has yet to close. Now, the the parties have agreed to extend the merger agreement and lower the price, to $6.50 from $7 per share. The exact price will be determined by how many Rite Aid stores Walgreens will have to sell off. The two companies say that number could be as high as 1,200, since government regulators are taking a hard look at how the combination will affect competition in the drug store business. 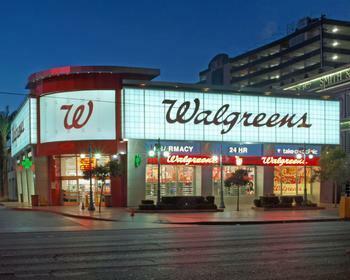 Originally, Walgreens had agreed to spin-off 1,000 stores. The joint announcement of both the delay and price adjustment suggests the two companies are still committed to going through with it, unless regulators out-and-out block it. The retail drug store business has changed significantly in the last 50 years. In the 1960s, independently owned mom and pop drug stores dominated the industry. Today it is dominated by major chains like CVS and Walgreens. Walmart and large supermarket chains have also gotten into the pharmaceutical business, with drug sales accounting for a large part of their revenue. While there are still independently-owned drug stores, there aren't nearly as many as they used to be. At the time the merger was announced, Walgreens assured regulators it would create “the opportunity to deliver a high-quality retail pharmacy choice for U.S. consumers in an evolving and increasingly personalized healthcare environment." Regulators, meanwhile, have taken their time determining how that would work. Rite Aid operates approximately 4,600 stores in 31 states and the District of Columbia, with a strong presence on both the East and West Coasts. The plan announced in 2015 was for Rite Aid stores to continue to operate under their own brand for an indefinite period. Eventually, however, they would be re-branded as Walgreens stores. Walgreens is already the nation's largest drug store chain with more than 8,200 stores. That's one reason this deal is under the microscope. In 2015, Walgreens' closest competitor, CVS, had 7,800 retail stores. Together, the two companies controlled at least 50% of the market share in 70 of the nation's top 100 metro areas.